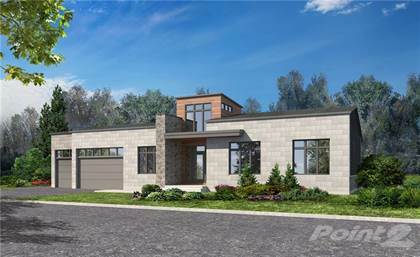 Gorgeous custom Bungalow built by Troia Homes in sought after Lakewood Trails! Impressive three bedrooms, 3 bathroom home with 3 car garage. Open concept luxury kitchen with high-end stainless steel appliances, custom cabinetry, granite counters, and breakfast nook overlooks the spacious great room featuring a beautiful gas fireplace. Formal dining room off of the kitchen. Master retreat with walk-in closet and luxury 5-piece ensuite including separate soaker bath tun and shower, and double sinks. 2nd bedroom has a walk-in closet. The third bedroom can be used as a study. Laundry conveniently located on the main level. Lower level can be finished at the buyer's request for an additional cost. Photos provided are of a similar home. Your dream home awaits! Hi, I'd like to find out more information about 349 Shoreway Drive. Thanks so much!